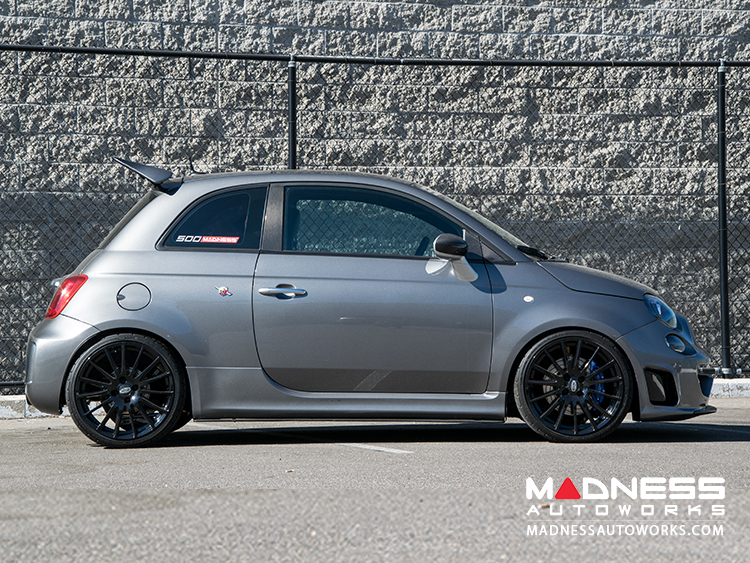 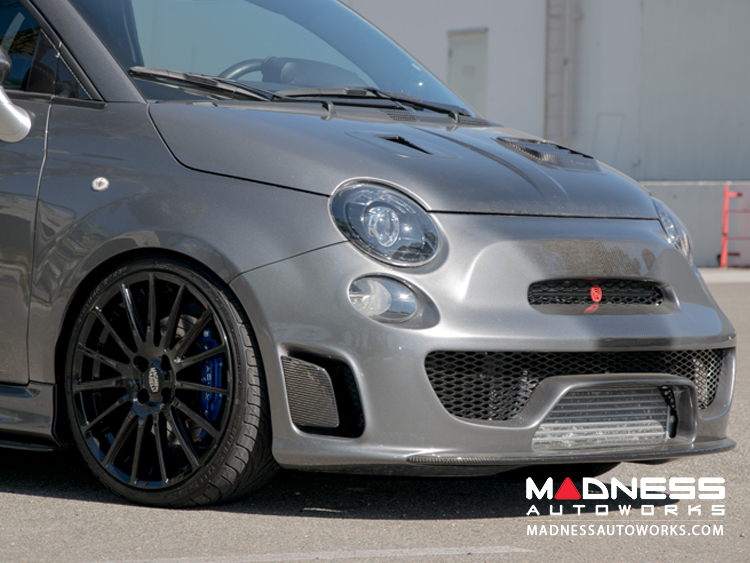 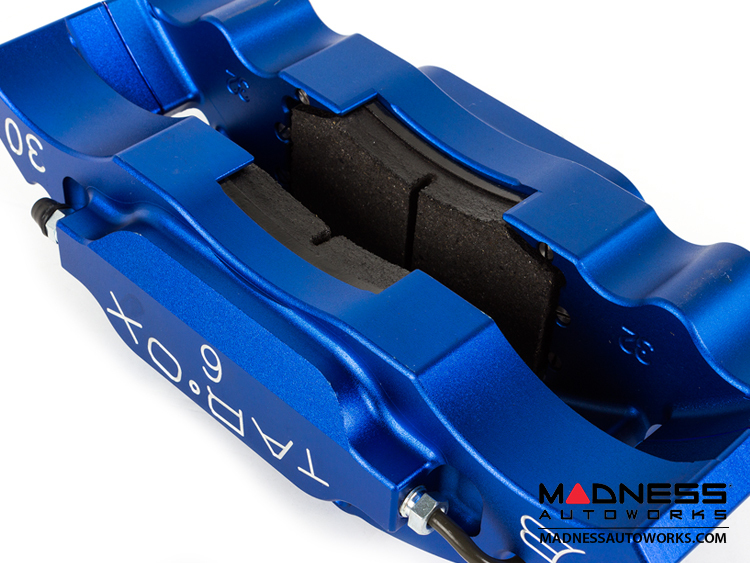 Give your FIAT 500 Improved Stopping Power with this High Performance 6 Pot Sport Series Brake Conversion Kit from Tarox. 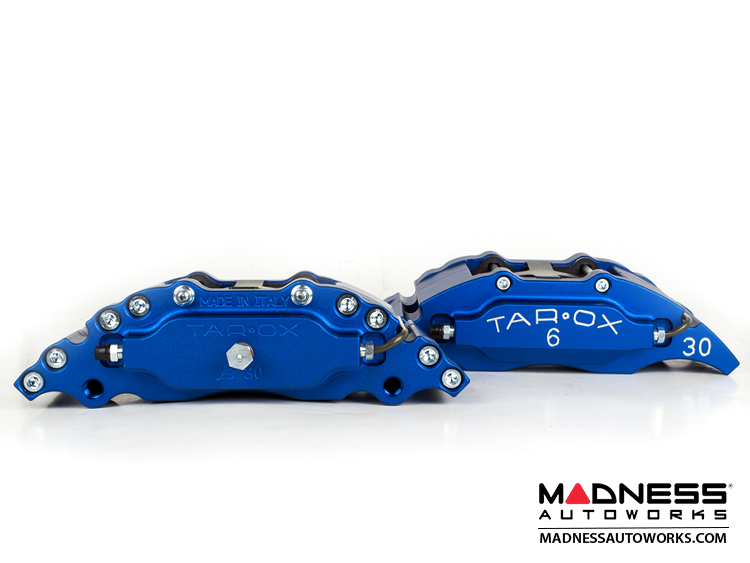 Tarox is a worldwide leader in the engineering, development and production of braking systems and components for fast road and racing cars. 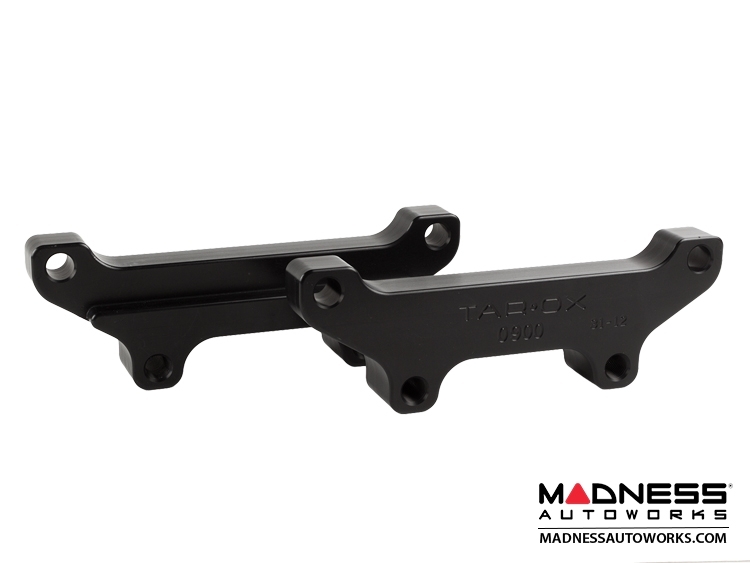 For those seeking to significantly improve upon the standard factory FIAT 500 braking system, the Tarox Brake Conversion Kit is the answer. 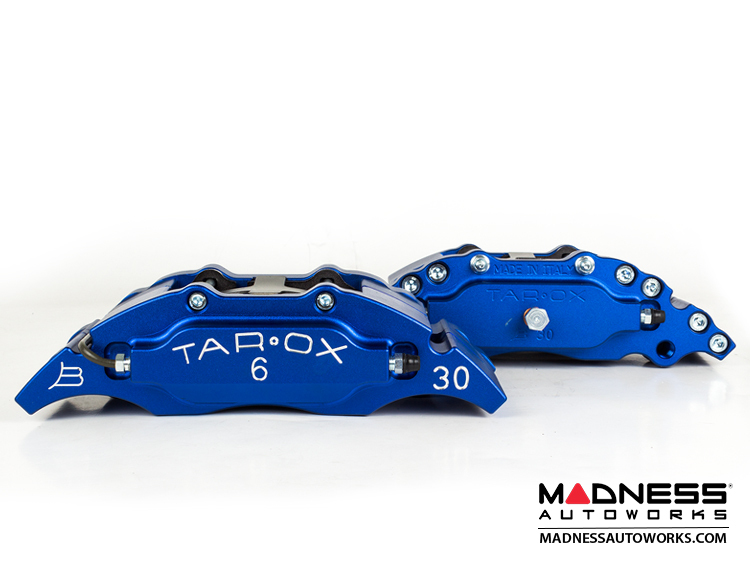 Tarox is one of the few manufacturers in the world that offers a six-pot caliper for road and track day use. 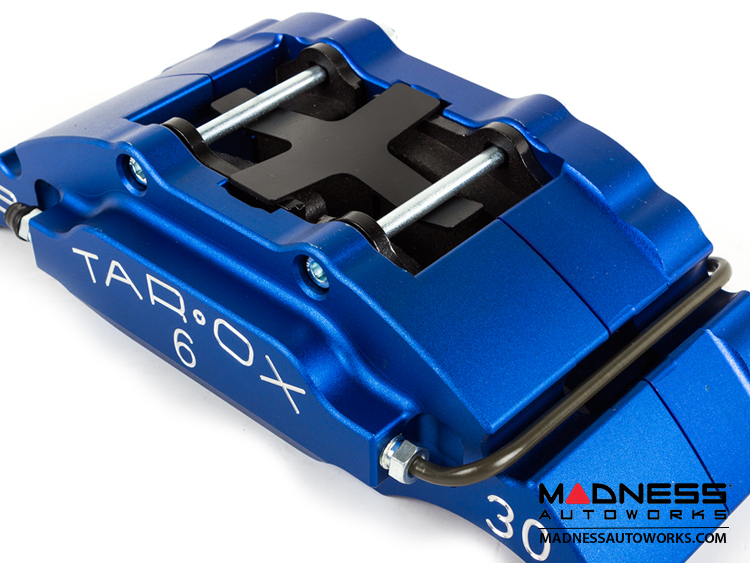 The new Tarox 6-pot caliper system was originally designed for competition use, but it also delivered surprising performances and smooth braking when used on everyday road use FIAT 500 cars. 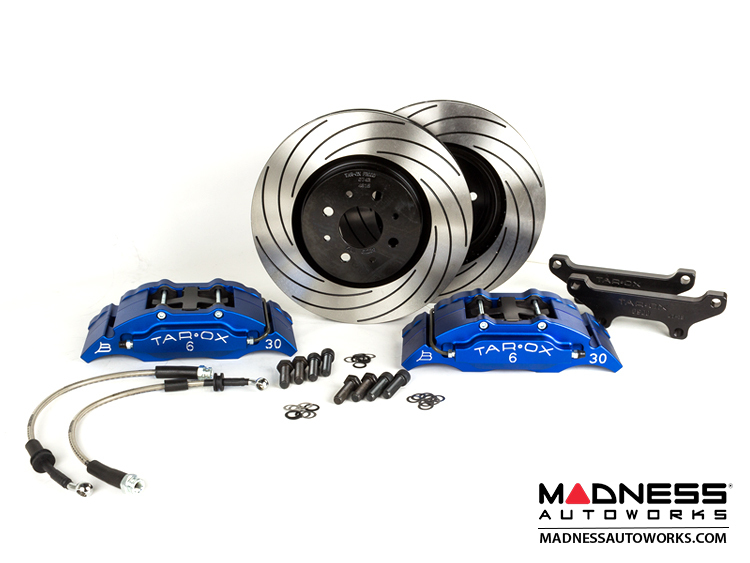 Fitting a Tarox upgrade kit will give you amazing braking performance and total confidence. 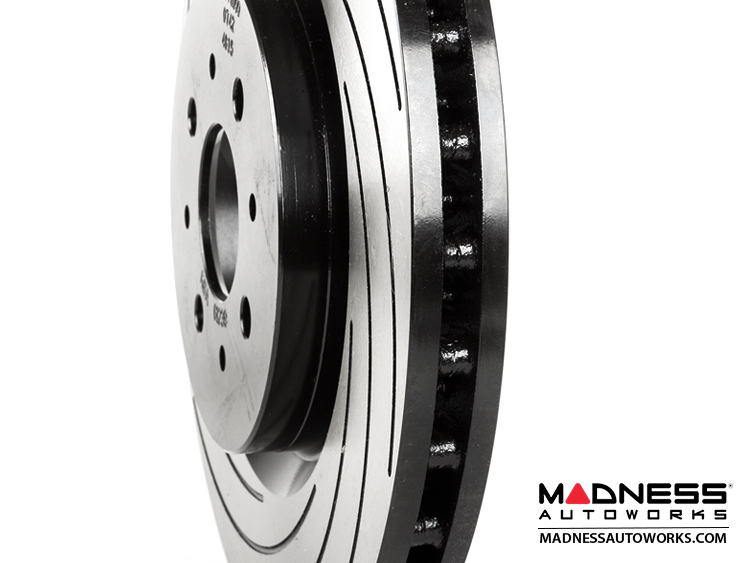 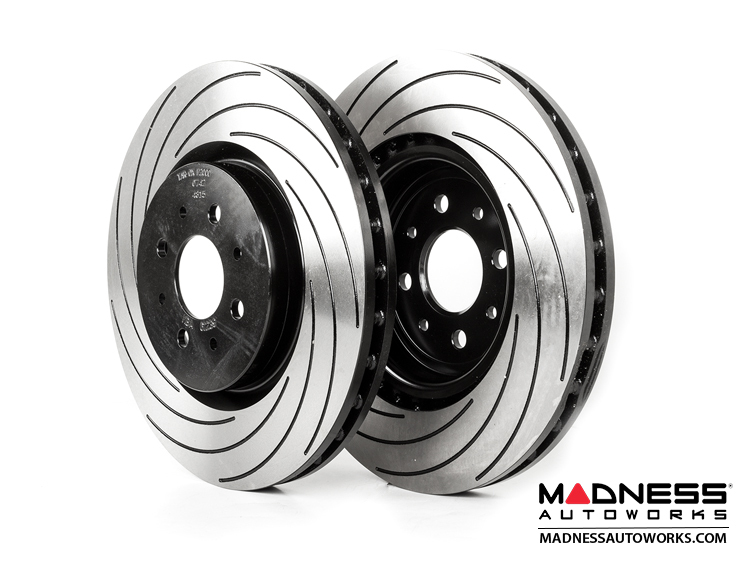 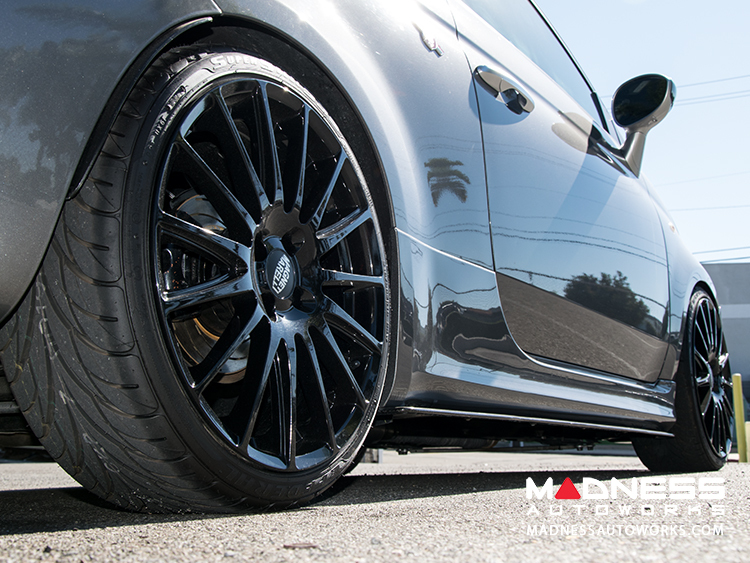 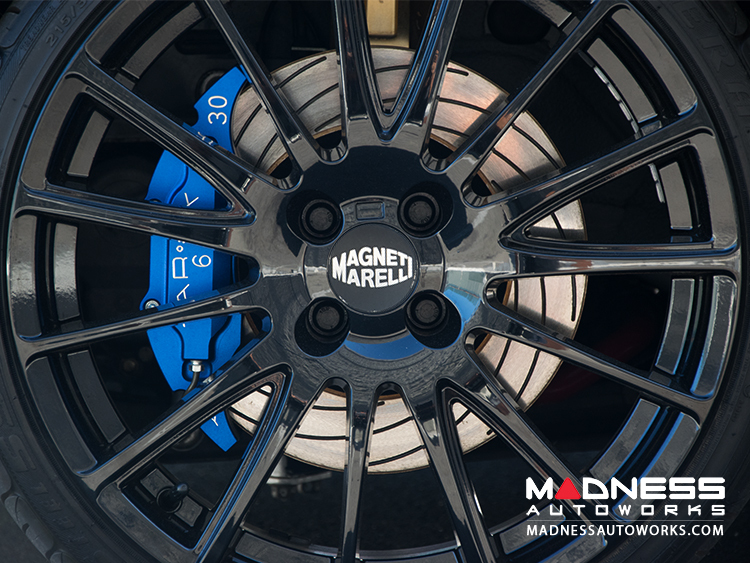 By matching six piston calipers to the brake rotors, problems such as rotor failure, deformation and vibration are eliminated. 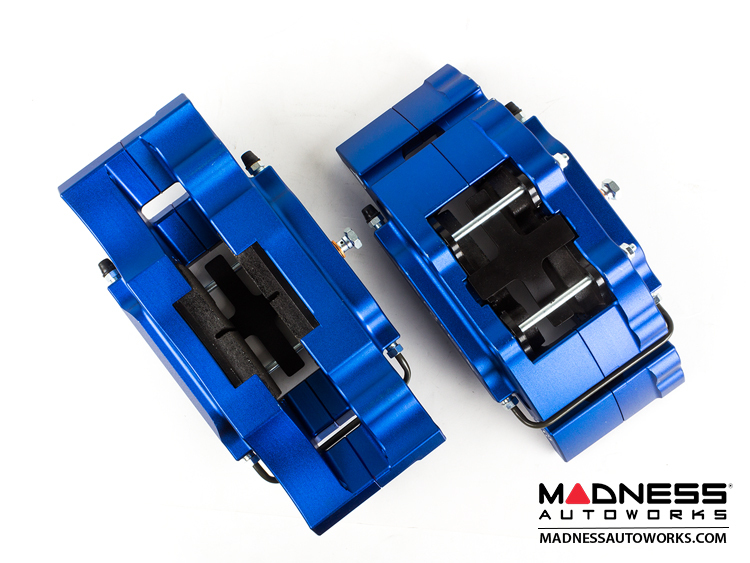 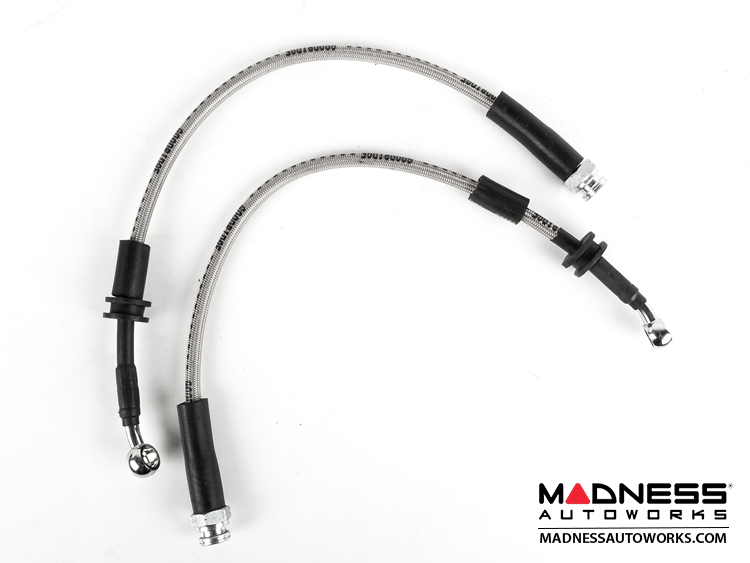 The diameters of the pistons in the calipers are specific to each application to take into account your car's master cylinder. 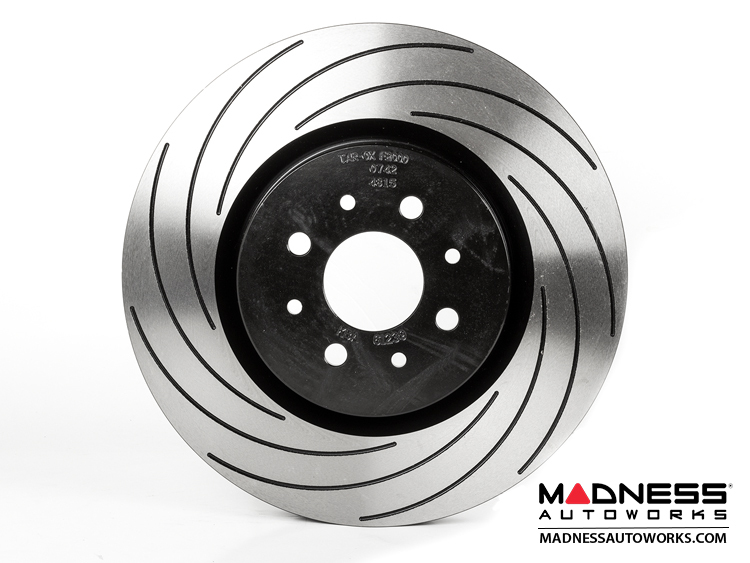 Minimum 17" wheels required for this Brake System. 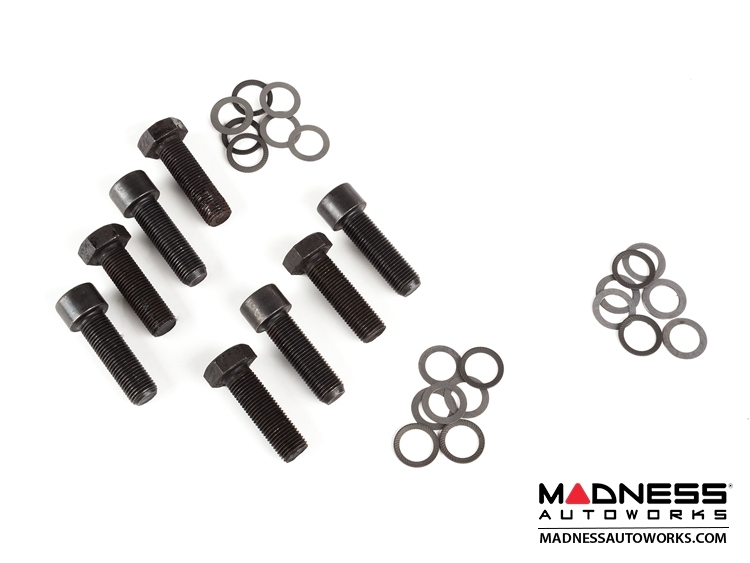 Each kit is made to order. Please allow 3 weeks for delivery.